TL;DR: In this article we'll attempt to cover a comprehensive security strategy for web applications to protect against common threats in web application security and mitigate their impact. Whether you manage your own infrastructure or not, having robust infrastructure security is great. But it becomes a bit redundant if your client's data is just as exposed through your web applications. Having infrastructure security is important, but there are considerations for front and backend developers that must be considered. In this era of modern web technology, security should not be a band-aid or an after-thought. It should be at the very foundation of planning, managing and building your web applications. Web application security is an ongoing and ever-changing climate you do not want to be caught short. You must continuously monitor, and work, to ensure that your company doesn't become another statistic in the world of security breaches. Regardless of programming language or framework, there are plenty of generic security practices you could follow from the very start of any project. In this article I'll introduce you to my biggest tips for top to bottom (Front end to Back end) security for your web applications. 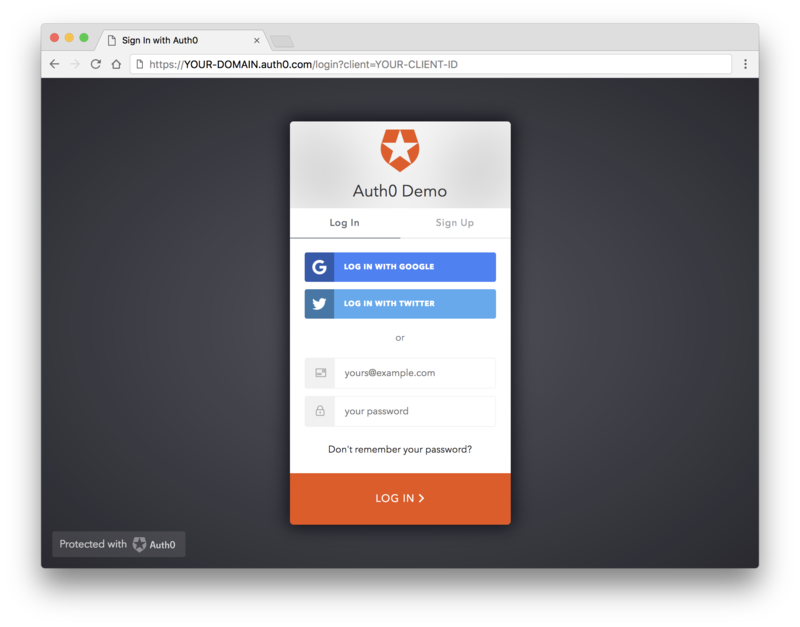 HSTS is a header you can provide the browser that enforces HTTPS across your entire web application. There is no excuse these days to land on a website that isn't encrypting the communication between your web browser and their servers. While SSL certificates used to be a marketing tool for corporations to prove how safe they were, these days SSL certificates are both free and easy to get. Certificate authorities like Let's Encrypt have the backing of some of the world's best known companies, because a secure internet is better for everyone! "There is no excuse for insecure web traffic these days! With the likes of @letsencrypt, free and easy to use SSL certificates are available to the masses!" Simply owning an SSL certificate will not make your web application secure. You need to tell your application how to force traffic through it. Some websites do this with a HTTP redirect, but providing as HSTS header is just as effective, without that overhead. Here are some examples of a HSTS header. In this example of a HSTS header, we have three directives. max-age, includeSubDomains and preload. The time, in seconds, that the browser should remember that a site is only to be accessed using HTTPS. This means that the browser will automatically use HTTPS to access the site for as long as max-age has not expired. Google maintains a HSTS preload service. Most modern browsers support (or intend to support) this service and if your site is registered, it will never contact the service through insecure HTTP requests. It will assume the site uses HTTPS before it ever connects. Note: If you start to use HSTS and your site has not been setup with HTTPS certificates then your site would become unreachable. XSS (Cross Site Scripting) is the most common of all web application attacks. XSS occurs when malicious scripts are injected into otherwise trusted web applications. 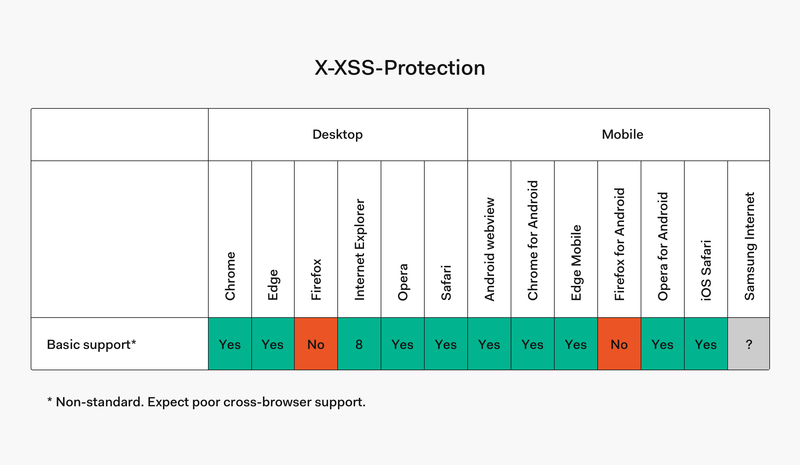 Most modern browsers come prepared to protect against XSS. We can ensure this is enabled by sending the X-XSS-Protection header. 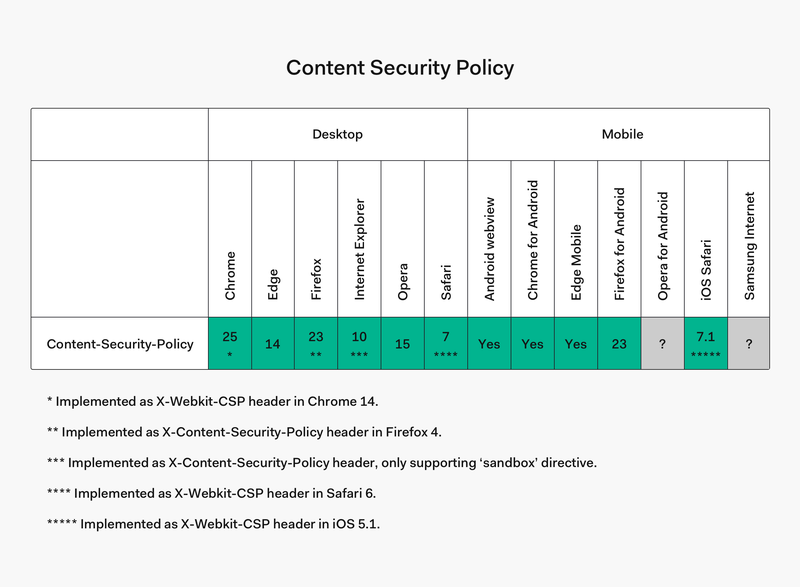 Note: X-XSS-Protection header is not available in Firefox and has been rendered entirely redundant by the Content Security Policy header, which we detail below. Here are some examples of an X-XSS-Protection header. In this example of a XSS header, we have three directives. 1 and mode. Also one missing one,report. This is basically a boolean value that determines whether XSS filtering is enabled. Change it to 0 to disable it. Without the optional mode or report directives, the browser will just sanitize the page, even removing the affected parts. Enables XSS filtering. If a cross-site scripting attack is detected, the browser will sanitize the page and report the violation. Clickjacking occurs when an attacker injects transparent or opaque objects into your web application. These might be an invisible layer over other functionality or designed to look like part of your application. Similar methods can be used for hijacking text boxes, to make you think you're putting your personal details or payment info (or both) into the application you're using! One of the most famous examples of Clickjacking was against the Adobe Flash plugin settings page. The infected application was loaded into an invisible window and tricked the user into relaxing their security settings, like allowing the web application to use your camera or microphone! To prevent click jacking, there is another header! 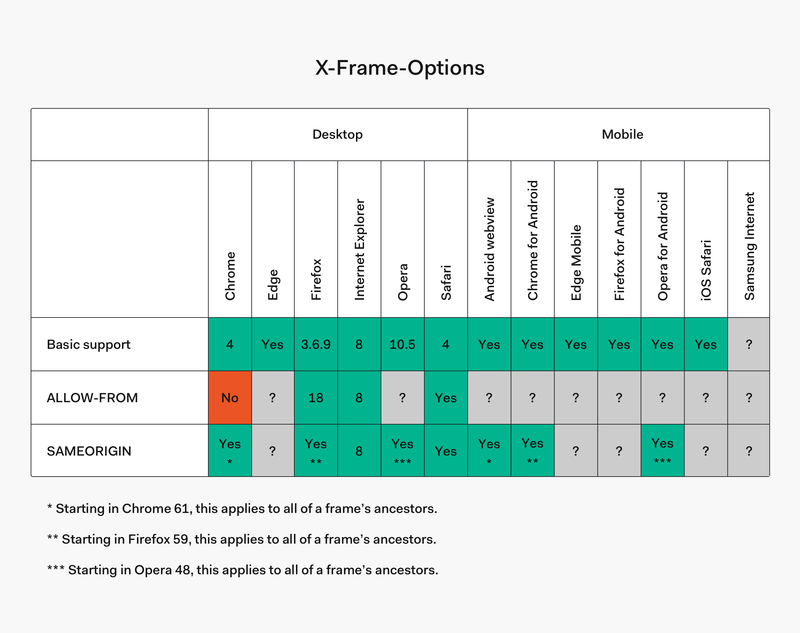 Servers offer Browsers a Header Protocol named X-Frame-Options. This protocol allows us to specify domains to accept iFrames from. It also allows us to state which sites our web application can be embedded on. Here are some examples of an X-Frame-Options header. With this header, we get three possible directives. DENY, ALLOW-FROM, and SAMEORIGIN. This allows you to provide a list of domains to allow framing within. This means framing is only allowed within the current domain. CSP is a more modern layer of security that helps detect and mitigate more than one kind of attack, including XSS and data injection attacks. Designed to be fully backwards compatible, browsers that don't support it will still work with servers using it, by ignoring it and defaulting to the standard same-origin policy for web content. It works by telling the browser exactly which URLs content on your site should be loaded from. Cross Site Request Forgery is an attack where by the attacker impersonates an authorized user and makes requests on their behalf, like resetting a password, or updating an email address. 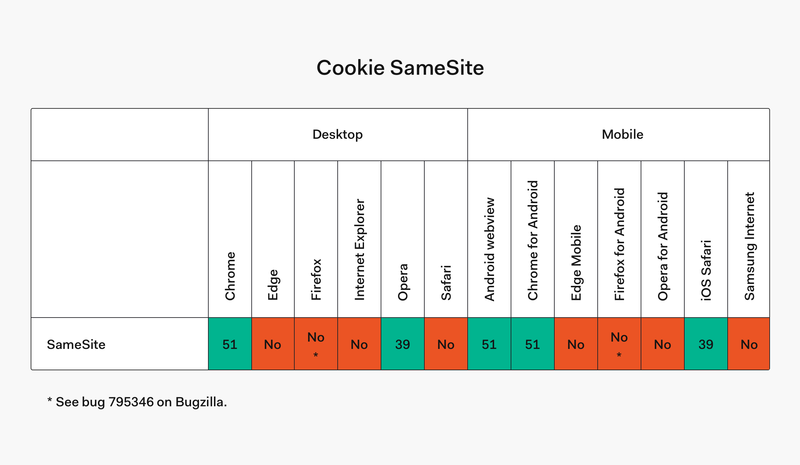 Cookies are an important feature of web applications, usually carrying our users session identification, so the server knows you're you on each request. 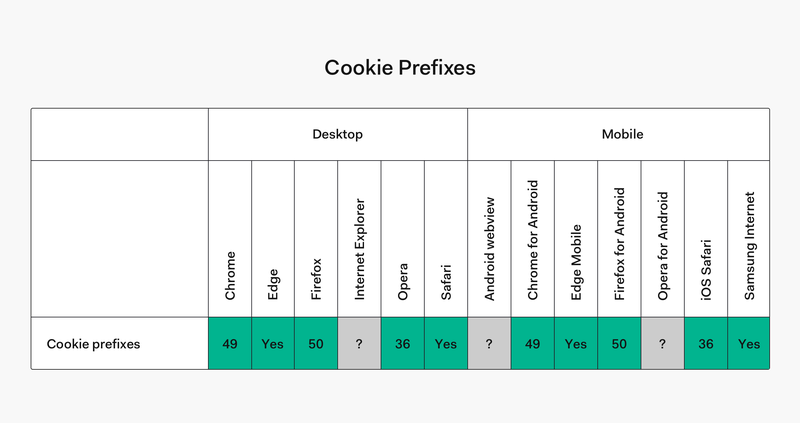 The SameSite directive might be a good way to protect your session information, but Cookie Prefixing is a new and under utilized method to ensure a cookie is absolutely secure. __Secure - Tells the browser that it should only include the cookie in requests that are sent over secure channel. __Host - Tells the browser not only that it should only include the cookie in requests that are sent over secure channel, this will also tell the browser to only use the cookie from a secure origin and the scope is limited to a path attribute passed down by the server. If the server omits the path attribute the "directory" of the request URI is used. It also signals that the domain attribute must not be present, which prevents the cookie from being sent to other domains. Effectively a __Host cookie is very specific to where it was intended to be used and therefore should be considered the most secure way to define one. The most effective method for maintaining the security of your web applications is keeping up-to-date with vulnerabilities. They're a dynamic topic in a dynamic environment and the attacker is always one step ahead. Complacency is the enemy. The moment you relax and think you're safe, you're going to miss an opportunity to improve security on your web application. By following the advice in this article, staying up-to-date with announcements, and having an in-depth knowledge of your systems, you can rest assured that you're doing what you can to mitigate attacks. Many developers and organizations ignore security altogether. It does not take an entire development team to implement the changes in this article, but it does take a certain investment in time and culture to know you're working towards protecting your data. 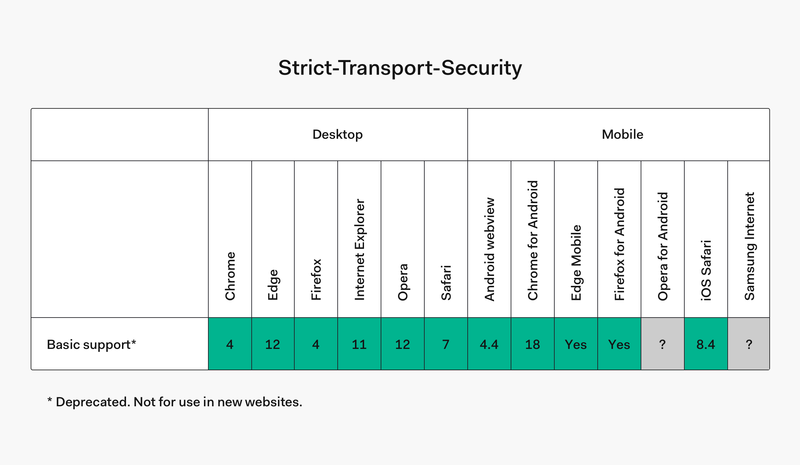 So, from enforcing HTTPS with Strict Transport Security, to securing our web application with a Content Security Policy header, we're well on our way to ensuring the security of our web applications.